Hit the road with confidence whenever you get behind the wheel of a Vauxhall Antara. This rugged-looking SUV comes with plenty of equipment as standard and some models come with four-wheel drive ? ideal if you're planning to leave the tarmac behind. 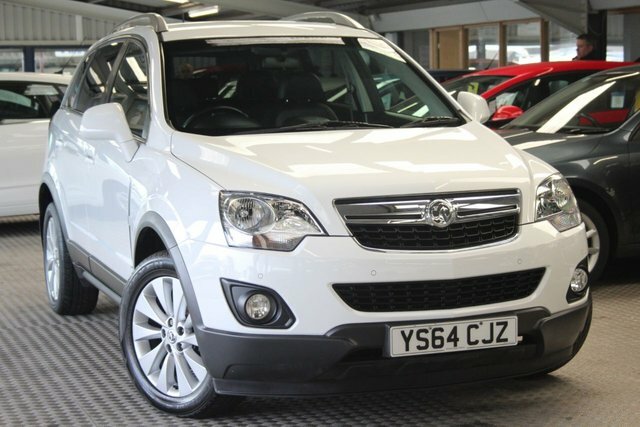 Take a good look at the range of used Vauxhall Antara models for sale in Blyth today here at Foreoax Limited and be sure to contact a member of the showroom team when you're ready to book a test drive. All of our used vehicles come fully inspected and you can always be sure of securing a great deal. Get in touch today to discuss your requirements in more detail. Finance is available to UK residents aged 18 years or older, subject to status. Terms & Conditions apply. Indemnities may be required. Other finance offers may be available but cannot be used in conjunction with this offer. We work with a number of carefully selected credit providers who may be able to offer you finance for your purchase, commission may be received. We are only able to offer finance products from these providers. Postal Address: Foreoax Limited, 113 Front Street, Bebside, Blyth, Northumberland NE24 4HN. Find contact details here.